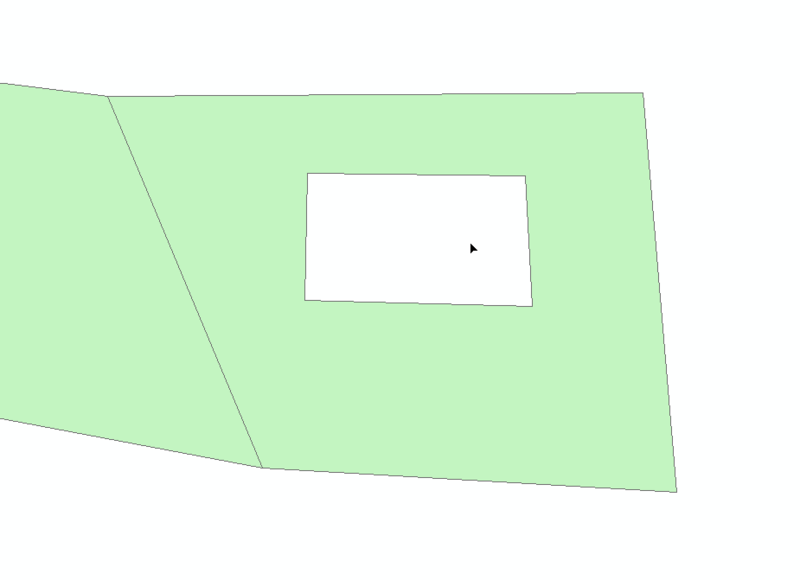 In ArcMap, it is possible to create a hole in a polygon by first drawing the outer limits of the polygon, clicking 'finish part' and then creating a hole somewhere in the middle of the polygon. 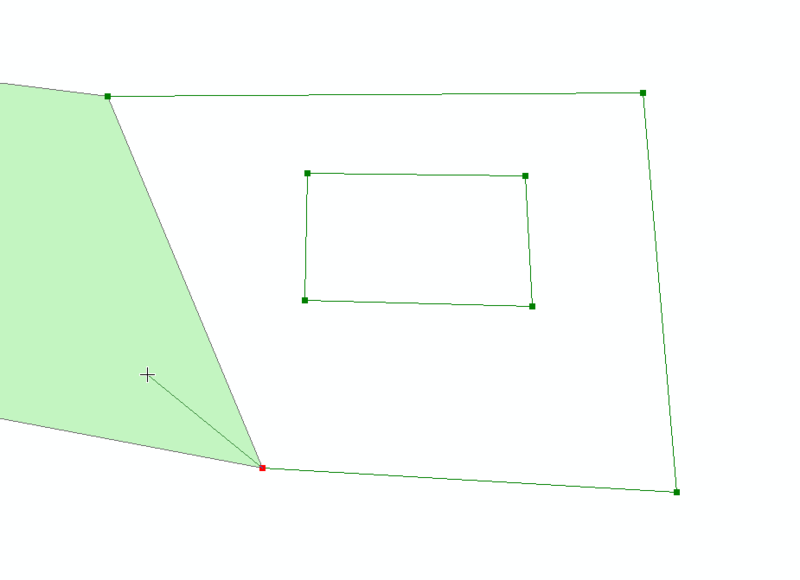 It is also possible to create adjacent polygons with the Auto-Complete Polygon by clicking somewhere within an existing polygon, drawing the outer limits of the new polygon and then returning to the existing polygon. But is it possible to combine these methods, so that after returning to the existing polygon with the Auto-Complete Polygon tool you hit 'finish part' and then move on to create a hole in the middle of the new polygon? When I try this, after having completed all of the steps above (I have drawn the outer limits of the new polygon, returned to the existing polygon, clicked 'finish part' and finally drawn a hole inside of the new polygon) I end up with only the outer limits of the new polygon. After double-clicking or hitting f2 to complete the polygon the hole has disappeared. Not the answer you're looking for? Browse other questions tagged arcgis-desktop arcmap editing donut-polygons or ask your own question. 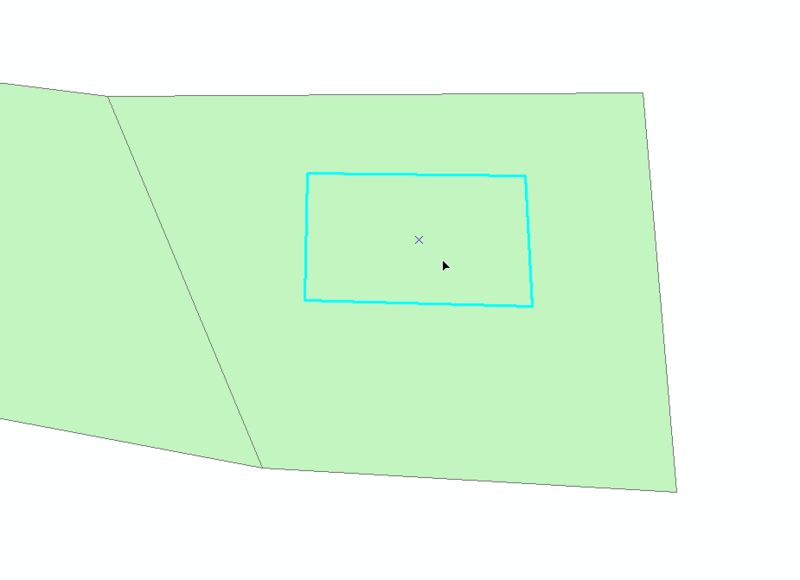 Is there any 'Auto-complete polygon' tool in QGIS? Automatically calculating geometry area when adding polygon in ArcMap? Resuming (continuing) digitizing polygon feature from any vertex in ArcMap?